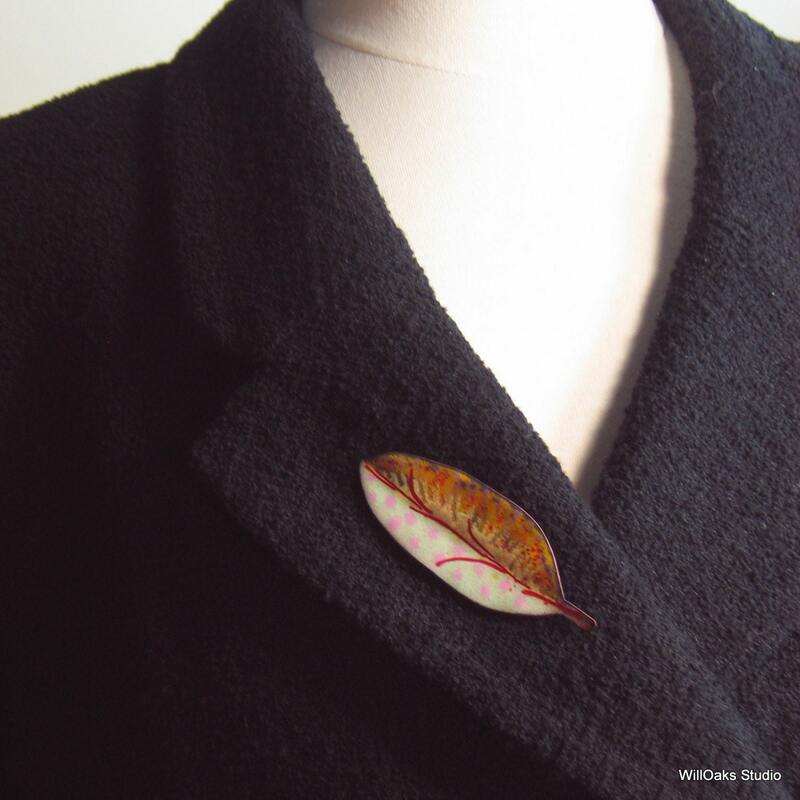 Originally inspired by a leaf, this big art pin features a playful enameled copper design. Red yellow & a little orange are blended for one half of the shape & pink polka dots on cream are on the other half. 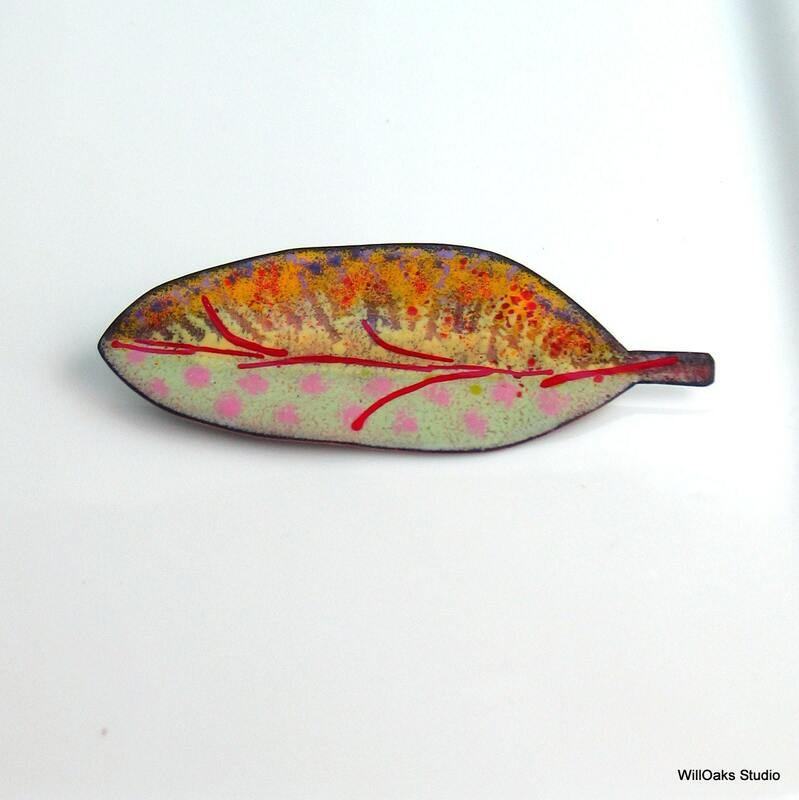 This original pin was formed from hand cut and shaped copper and coated with many layers of vitreous enamel under high heat in a kiln. It is one of a kind. Part of my "Flora Designs" series, started in 2015 by WillOaks Studio & still ongoing. 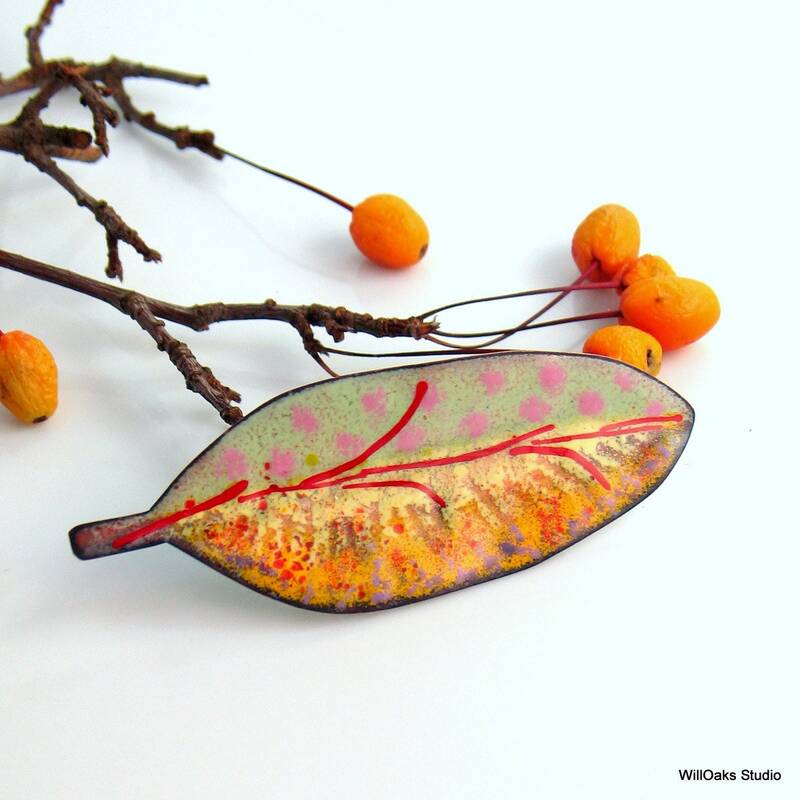 It is a piece of art jewelry inspired by nature. 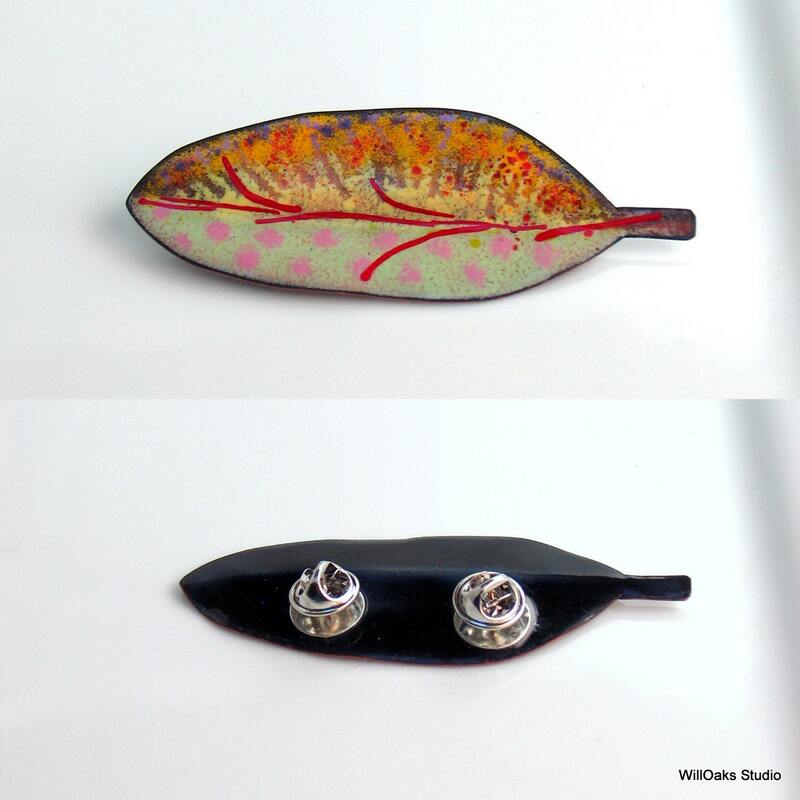 Pin measures about 3 1/4" (83 mm) long and about 1 1/4" (30 mm) wide at the widest. Presented in my signature box & ready to gift. 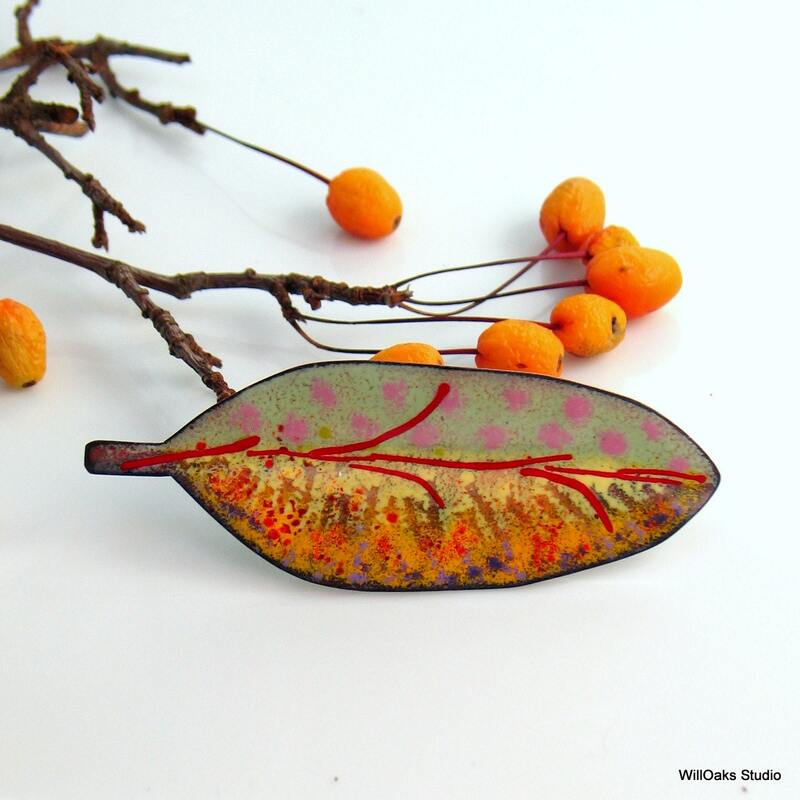 Glass or Vitreous enamels are bonded to the copper in a kiln at temperatures between 1450F-1500F for a permanent durable finished material that will not fade, bleed or change. As illustrated above, a pair of tie tacks are epoxied to the back and safety clutches are included.